While Korea has plenty of scenic places, Yeoncheon’s magic is much more primordial. Tectonic faults and volcanic eruptions over 300,000 years ago birthed a raw, rugged landscape quite unlike anywhere else on the Korean mainland, with serpentine rivers, plunging waterfalls and sculptured basalt cliffs. While close to Seoul, its proximity to the DMZ has kept industrial and residential development to a minimum and allowed the unique natural environment to flourish, if not completely undisturbed, than at least relatively unmolested. 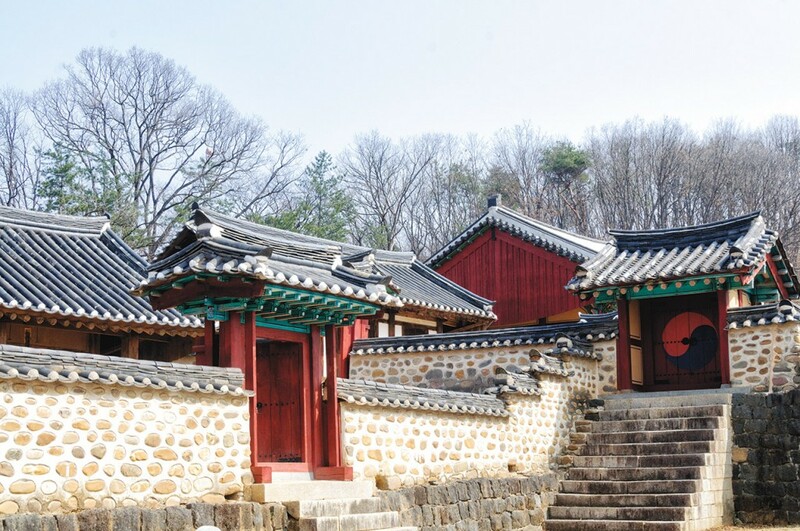 Until recently, Yeoncheon’s chief claim to tourism fame was its Paleolithic Festival, held in early May to celebrate the town’s proud archaeological heritage of Paleolithic relics. However, the designation of Yeoncheon’s Hantan-Imjingang river area as Korea’s seventh national geopark in December and the inclusion of the town in the Pyeonghwa Nuri Road, a trekking course that follows the DMZ from one end to the other, is drawing more and more visitors to this under-appreciated part of the country to discover its lava-hewn beauty. Yeoncheon is in the heart of the so-called Chugaryeong Rift Valley, a long, narrow tectonic depression that runs from the Seoul area in the south to the North Korean port of Wonsan in the north. In the old days, the valley was one of the few natural passageways linking Korea’s eastern and western coasts. In more modern times, the historic Seoul-Wonsan railroad ran along the valley until the line was cut in the Korean War. The section of the valley around Yeoncheon, Pocheon and Cheorwon cuts through a giant lava plateau, formed during the Pleistocene epoch by eruptions from Mt. Orisan, an extinct volcano located just across the DMZ in North Korea. Over the ages, the waters of the Hantangang River carved their way through the plateau, sculpting the dramatic basalt cliffs and rock formations you see today. 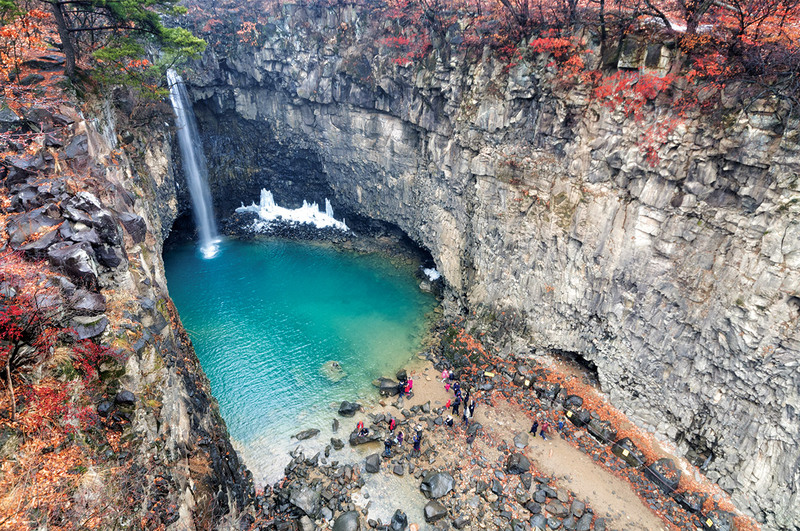 The Hantan-Imjingang River National Geopark has no shortage of things to see, but the most impressive site is probably the Jaein Waterfall, an 18 meter high cascade over black basalt cliffs located in a deep gorge west of the hamlet of Jeongok. The combination of jade water, volcanic rock and thick forests make quite the picture. You can enjoy a bird’s-eye view of the falls from a newly built observation platform, or climb down to the falls for a more intimate vantage point. Many spots along the Hantangang and Imjingang rivers are lined by columnar jointed basalt cliffs, or jusangjeolli as they are called in Korean, which are pillars of rock formed by lava as it cools and contracts. Near the village of Dongi-ri, at the confluence of the two rivers, is a 1.5-kilometer stretch of such cliffs, an impressive sight when the rock glows red in the sunlight. More volcanic cliffs can be found along the Chatancheon Stream and below Dangposeong Fortress. An increasingly trendy way of exploring Yeoncheon’s natural splendor is the Pyeonghwa Nuri Road. Founded in 2011, this hiking trail will eventually stretch 551 kilometers along the southern edge of the DMZ from Ganghwado Island in the west to Goseong in the east. Many portions of the trail have already been completed, including three sections in Yeoncheon itself. Each segment is between 17 and 30 kilometers long, so plan setting aside at least a whole day to complete one. The trails make use of both existing roads and newly built walking paths that take you past many of Yeoncheon’s scenic spots. The trail is also popular with bicyclists. The inter-Korean DMZ forms Yeoncheon’s northern limit, and the military is a major presence throughout the town. 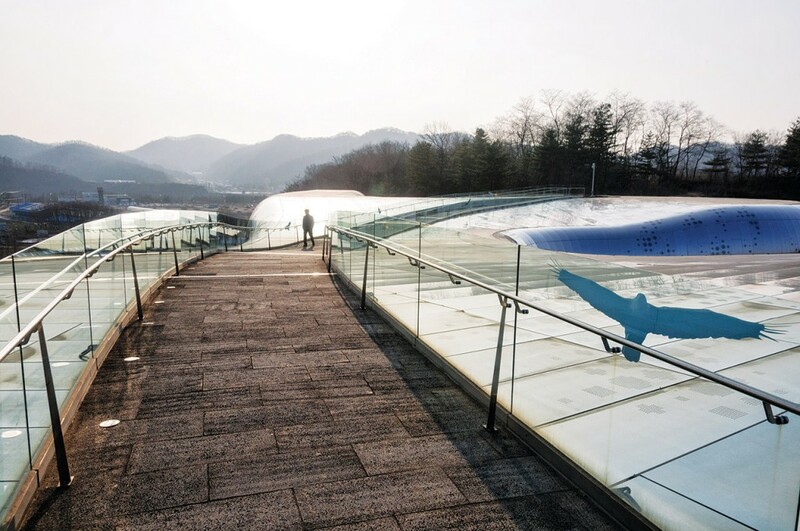 At the Taepung and Yeolsoe observatories, two vantage points over the DMZ, you can get an even more tangible sense of the tragedy of Korea’s national division. 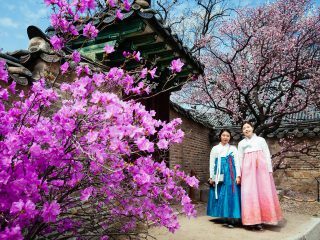 With bird’s-eye views of North Korea, both offer visitors a rare glimpse into one of the world’s most closed-off countries. Both sites also have exhibits that teach visitors about life in North Korea and the vagrancies of inter-Korean relations. To get to either observatory, you’ll need your own car or a taxi. Don’t forget to bring a photo ID. Photos are largely prohibited. 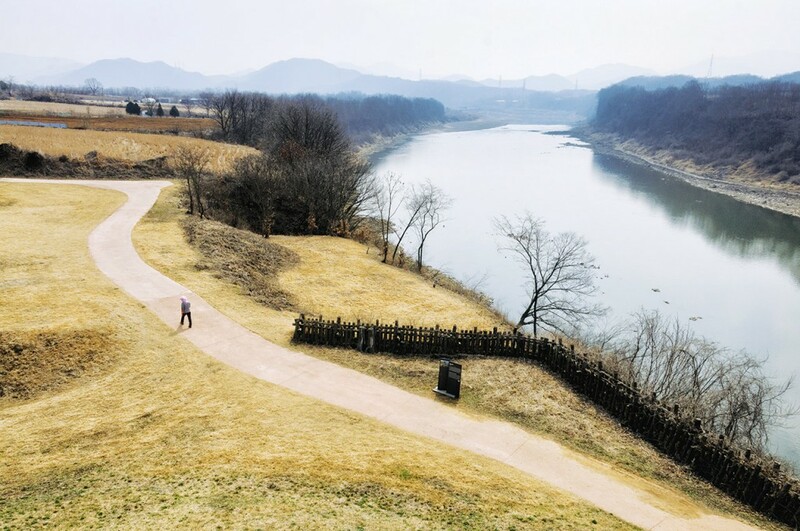 In the winter of 1978, a U.S. soldier was at a resort on the Hantangang River when he found what he believed to be an ancient stone implement near Jeongok. He brought the artifact to an expert at Seoul National University, who determined the implement to be an Acheulean hand axe. As contemporary archaeological theory held that East Asian peoples never developed hand axes, the discovery revolutionized the way we understand Paleolithic culture. Since then, 17 excavations have been carried out at the Jeongok site and its surroundings, yielding 8,500 artifacts that prove the existence of Paleolithic cultures in Korea going back at least 300,000 years. The excavation spot is now the Jeongok-ri Prehistoric Site, a park with exhibits and plenty of outdoor statues intended to give you a sense of life in the Paleolithic era. 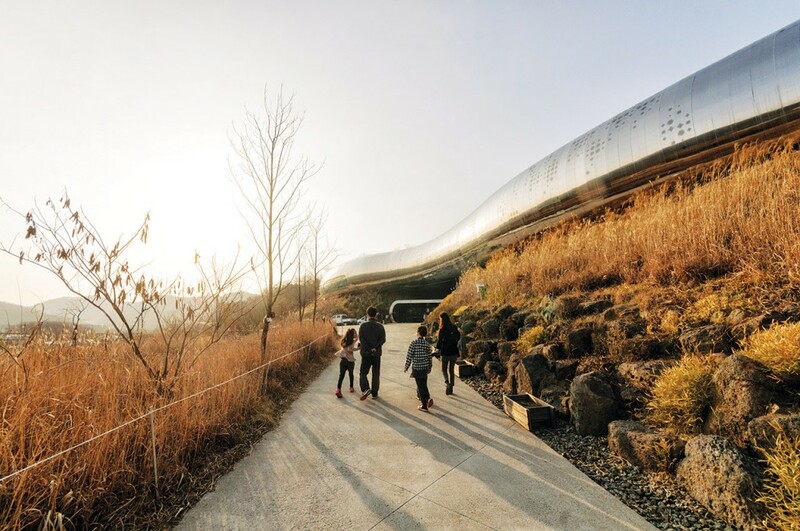 Even more impressive is the spectacular Jeongok Prehistory Museum, a silvery snake-shaped hall designed by French architectural house A-TU Architects. Many of the museum’s exhibits are meant for children, but there are some interesting archaeological displays, too, and the museum café offers inspiring views of the surrounding mountains and countryside. 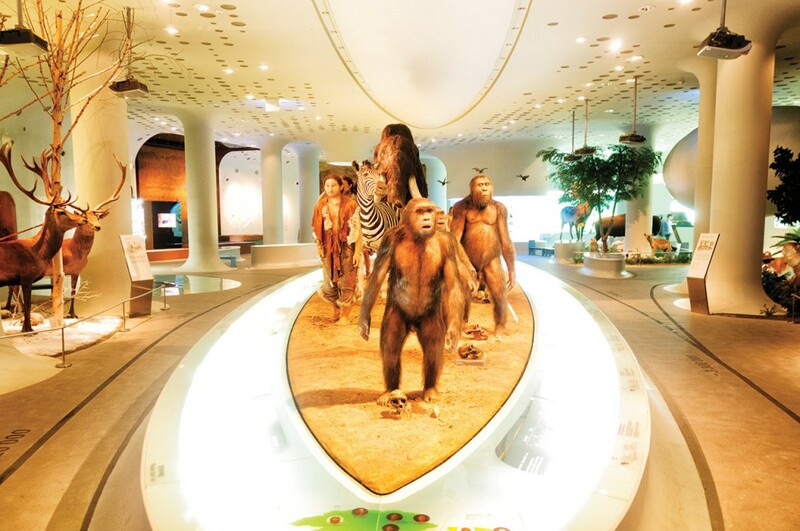 The town pays tribute to its Paleolithic heritage with the Yeoncheon Paleolithic Festival (May 5-8), one of Korea’s most popular springtime festivals. Held at the Jeongok-ri Prehistoric Site, the festival is largely a family event, with lots of folks dressed up like cave people. Even if you don’t have children, however, it still gives you an excuse to come up and explore the town’s more grown-up attractions. EAT> The town of Jeongok – called by one Korean blogger as the “Myeong-dong of the ROK Army’s 5th Division,” which is based in Yeoncheon – has many small restaurants. GO> Take Line 1 of Seoul’s subway system to Dongducheon Station or Soyosan Station. From there, take one of the many local buses to Jeongok. All in all, the entire trip should take about two hours, most of it on the subway.